The Best Way to Use Juicing For Weight Loss and Energy Boost! It seems like everywhere you turn, juice diets are turning up. Point your tv to any morning show and someone will be talking about juicing for weight loss. Names like Jack Lalanne have become synonymous with the juicing craze. There are several benefits to juicing, yet what is the best way to incorporate juicing into your daily diet routine? Why Juicing for Weight Loss? 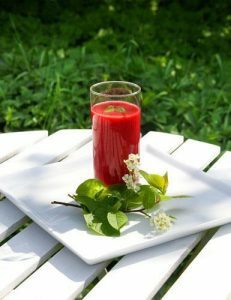 To start with, juicing is one of the easiest ways to introduce great raw food in its whole state into your diet. Juicing apples, carrots, bananas, oranges and the like can really get things moving in your body… literally! Here is the reality. Most of us do not eat properly. Our bodies have stored up toxins and acids in our fat cells. These cells tend to hold on to this material until an event happens which releases it from the body. This is where juicing for weight loss comes in handy. Juice is a natural alkaline. Also, since the foods you are eating are whole foods, since they are broken down, they are absorbed rather quickly into the body. They literally strip away the acid from your body’s cells in a manner that is non-threatening and efficient. Think of the juice as a neutralizer, working its magic with each healthy glass you consume. Juicing also works as a great detox. Since the food you are consuming is natural, it flushes out the bad material from your cells with help from its many enzymes and phytonutrients. How to Enhance the Process of Juicing for Weight Loss? There are things you can add to your juice that can take it up a notch though. Try tossing in an avocado or some protein powder for a filling smoothie that is loaded with many vitamins and minerals your body needs to function. You will feel energized and ready to tackle your day with gusto! However, a word of caution. Juicing for weight loss on its own is not the sole answer for your overall body chemistry. Since you are primarily consuming fruits when you are juicing for weight loss, other critical protein sources are usually neglected as a result. Not to mention whole grains as well. A well balanced diet (and a well rounded body) will consist of a regimen that incorporates juicing for weight loss as an addition rather than a sole source. Neglecting protein and nutrients from whole grains can have adverse effects on your body. Protein is needed for proper muscle development. Failure to incorporate foods high in protein can lead to types of deterioration you do not want. The worst case scenario is your body actually begins to consume its own muscle as a food source because it runs out of fat to consume. This is not something you want to go through. It usually begins with a trip to the emergency room and ends with a hospital stay of several days. Whole grains are needed for good digestion and are also used as roughage to help clean out your intestinal tract. Consume them as a part of your juicing for weight loss plan to ensure a proper balanced routine. Overall, juicing for weight loss has many benefits, yet it is not wise to use it as a sole source for your dietary needs. Consult with your physician to determine what other things you might need to add to your juicing regimen to make your body sing! Take 10-20 pitted cherries and put them in your juicer with a cup of blueberries. Cut a small apple into cubes. Blend together. If you are using a blender , you can achieve the same results if you strain the blend. Cut a small apple into cubes. Add two stalks of celery and two to three slices of lemon. Blend or juice together.